Since the start of the civil war, 165,000 South Sudanese refugees have fled, escaping the violence at home. Like many of those who have crossed the border into Sudan, I am also a refugee. My father was born in Palestine. He was forced to leave when the Israeli occupation started. I was born in Jordan many years later, but haven’t been able to return to my homeland. Our family still keeps the key and the deeds to our old home in the hope of one day being able to return. Many of the South Sudanese now living White Nile State´s refugee camps fled sexual violence, torture, murder, and the destruction of their homes and villages. From one refugee to another, I hope that they can go home soon. While Sudan has offered them protection, just as Jordan provided it to my family and to the families of other refugees, this is not where they want to be. I became aware of my refugee status when I volunteered in a Palestinian refugee camp in Lebanon. While I don’t live in a camp, I am unable to return to my country of origin. I still have family there and hear their news on a regular basis. This has given me a strong connection to refugees around the world, including the South Sudanese I have met during my time in Sudan. Living like this is not easy. 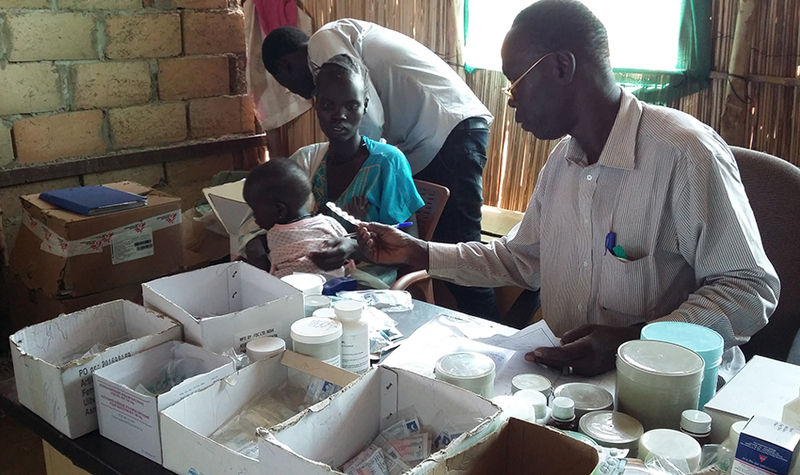 Al Kashafa is one of the oldest camps for South Sudanese in the area, but people there are still dependent on international agencies to provide food, water, healthcare and education. Those of us who have worked in similar camps in other emergencies see that the international community is not providing the same level of support here as it has in other more-visible refugee camps. You don’t have to be in the camp for long to realise that access to clean water is insufficient, which can cause many health problems. Similarly, sanitation is poor and toilets are not emptied, and this can be hazardous to the health of camp residents. The food and water people receive here are inadequate, but people make do with what they have. Many other issues need to be addressed, especially in the new mega-camp Khor al Wharal. This is a crisis forgotten by the international community. Across the whole emergency, UN agencies have only received 14 percent of what they need to support South Sudanese refugees in the region. 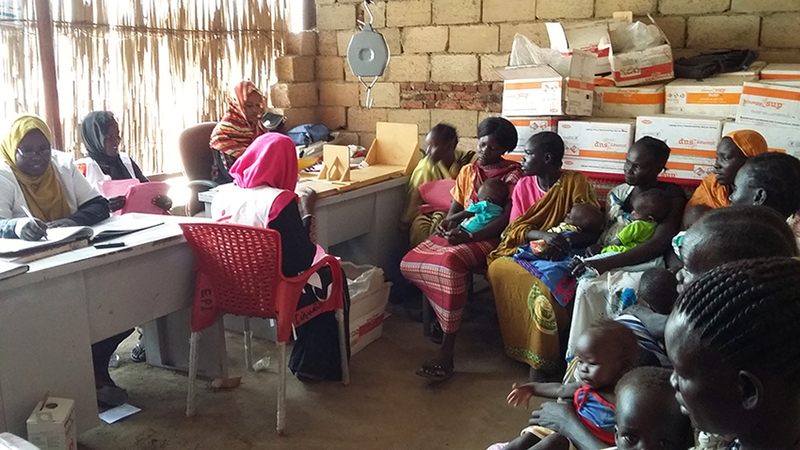 The MSF hospital in Al Kashafa is a significant commitment and is a referral point for most other health centres in the area. It serves both refugee populations and the host community, who make up nearly half the patients using the hospital. In time MSF intends to build a more permanent structure that is capable of dealing with the increased demand. The local community has already provided us with land. The system is under strain. Earlier this year, over 50,000 new South Sudanese refugees came across the border to Khor al Wharal when fighting enveloped their towns. Many arrived with little or nothing, often just a few meagre belongings. Sometimes I am asked, “How do you cope with the challenges of running a hospital in such a tough environment?” To be honest, I get sucked into the tasks at hand and don’t think about it too much. I am here to make sure that the hospital is providing the best quality care to the refugee and host communities. But, from time to time, I need a bit of a boost; I need to see the work we are doing in the hospital. The highlight for me is going to the maternity ward where I meet the mothers and play with the new-born babies, making them giggle. This puts a smile on my face and I feel re-energised. I hope that these children will get to go home soon.